To any outsider, playing a sport in the desert sun seems almost suicidal. Reaching temperatures of 110 degrees and up, Las Vegas' summer weather is none to kind to partakers of outdoor activities and has been known to be the cause of many cancelled activities. Despite the beating sun and unforgiveable heat, though, places like Bear's Best continues to cater to the apparent heat resistant golfers of the world. Designed by famed golf pro Jack Nicklaus, Bear's Best's course is an expansive selection of eighteen holes hand-picked from the golf pro's own collection of courses. Outfitted with strategically placed hazards and four different tees, a round of golf on this course is an experience best fit for pro's and amateurs alike. 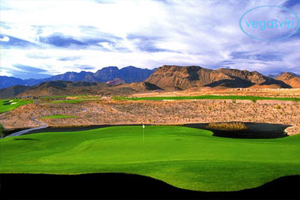 Offering two practice greens, a three-tiered driving range, and Bushnell yardage, Bear's Best is the premier golf course of western Las Vegas. Beginners are given the ability to partake in any of Bear's six different training options. Two and three day schools offer the fundamentals of golfing with a focus on the student's full swing and short game. Half day and full day private lessons are also available to those with a tight schedule. Private lessons will feature one-on-one training with Paul Wilson and will focus on a compact lesson on full swing and short game. Larger groups of three or more can also create their own custom lesson for the perfect personalized experience, an option perfect for small business meetings and parties. Bear's Best offers its guests a unique casual dining experience at both of its venues. Jack's Place, a casual sports lounge, serves up fresh appetizers and sandwiches made to perfection while the Bear's Den BBQ menu is chock full of hotdogs, hamburgers, chicken, and other grilled delicacies. Guests at Bear's Den can enjoy their meal with an awe-inspiring view of the nearby Red Rock Canyon. Special events and tournaments get to experience the elegance behind Bear's BBQ feast with fully customizable dining menus. A wedding at Bear's Best offers the professionalism and courtesy of any five-star catering hall. Headlined by Certified Wedding Professional, Beverly Clark, each ceremony and reception can be form fitted to match the bride's every need. A view of Red Rock Canyon and the Las Vegas Strip add to the sheer elegance that the club has to offer, making Bear's Best the perfect choice for any couple. Bear's Best also offers the perfect amenities for any formal meeting and business luncheon. Business meetings, much like weddings, have access to a fully customizable menu and can be designed to fit the guest's needs. In a city home to many different golf courses, each location must offer something either completely different or much better than its competitors. 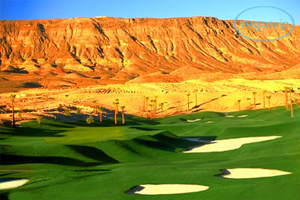 While Bear's Best doesn't break the mold in golf clubs, the amenities and professionally designed course puts it up there with some of Las Vegas' best.